Dr. Michael Speer, Neonatology faculty (center), congratulates Drs. 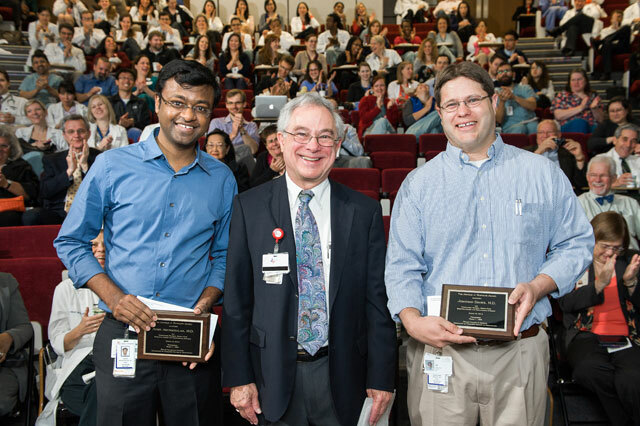 Athis Arunachalam and Jonathan Davies, third-year fellows, the 18th annual Arnold J. Rudolph Memorial Grand Rounds award recipients. 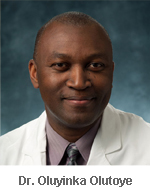 The award recognizes third-year fellows in neonatal-perinatal medicine for outstanding teaching, patient care, scientific inquiry and professional integrity.